We are a Duke of Edinburgh’s Award Approved Activity Provider and run DofE Expeditions. 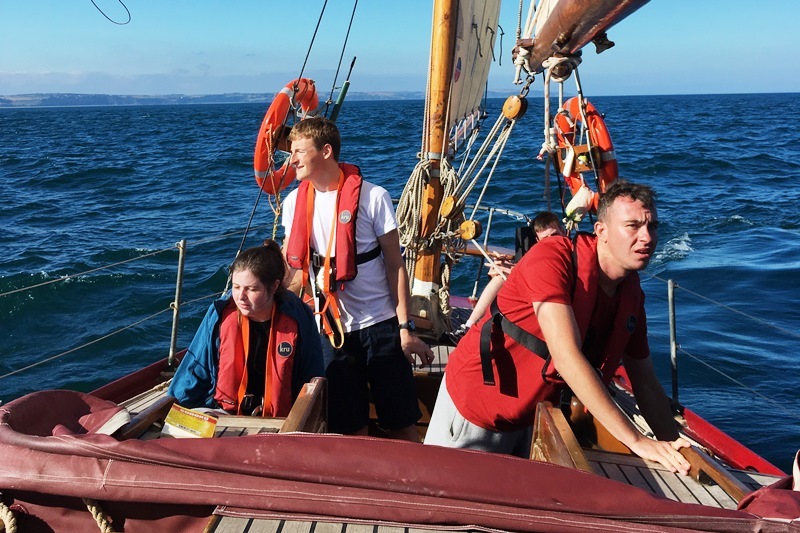 To achieve your Duke of Edinburgh’s Award you must complete the Expedition section, and to support our charitable work we run open DofE Expedition voyages during the school holidays. You will spend 10 days and 10 nights on board completing your Training, Practice and Qualifying modules of the Gold Award, and 9 days and 9 nights for the Silver Award. Some previous sailing experience is required either on yachts or dinghies. If you are a school or group who all wish to undertake your Silver or Gold Expedition together, we would be pleased to hear from you and may be able to offer a bursary towards the fee. The group would need to be 7 in total. 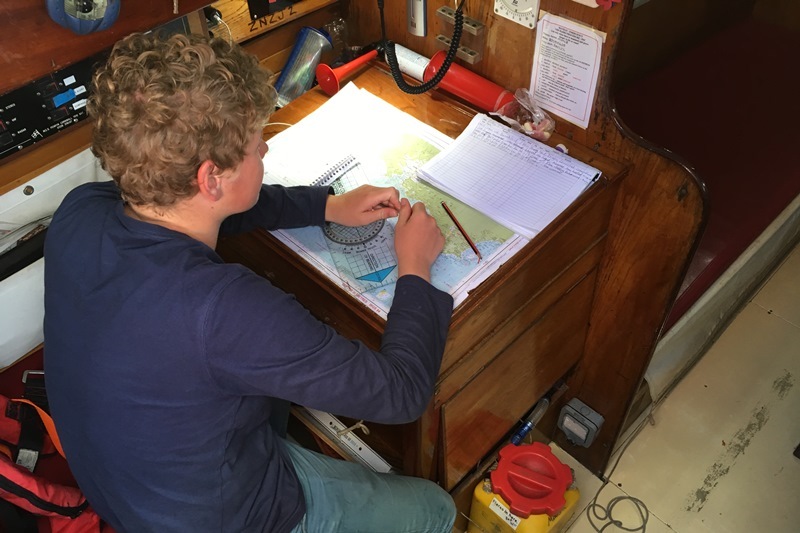 Before coming on your expedition voyage you will need to complete the RYA Essential Navigation online course, which you do at home or wherever you have access to a computer. You will be sent a course pack which includes a chart, plotter, dividers, course handbook, exercises and an electronic chart plotter CD. The course typically takes six hours to complete, and you can work through it at your own speed, whenever you like. After the course you will have a basic knowledge of navigation and safety. You will join on the first evening and prepare for the voyage, which will include provisioning and menu planning. The first full day will be a preparation day and RYA Essential Navigation Course refresher, so that you are best prepared for passage planning and navigating the voyage. This will be followed by the Practice Expedition days where you will learn the essential skills to, plan, sail and take control of the boat. There will then be a rest day and further honing of your planning and navigating skills. Finally, you will complete the Qualifying Expedition days where you will be expected to plan the passage, carry it out, and guide the boat into or out of port. On the final day, a DofE Assessor will visit the group on the vessel, talk to the team and assess the DofE Expedition. It taught me how to work as a team and stay in close quarters with my team. Highlights were night sailing, learning to navigate through fog, and lots of laughs! I had an awesome time and loved all of it. My advice to anyone coming on a voyage is 'throw yourself into it' and have a great time. I learnt many different knots, plotting charts using bearings etc, learnt how the sailing boat works and using wind directions to work out where to sail. It won’t all be work though – there will be time for visits ashore, swimming from the boat, chatting and having fun with your new friends. We sail in the magnificent waters of the South West of England, where there are plenty of hidden coves, tiny islands and harbours with places to fish, swim, visit beaches and have barbecues. Prices include accommodation, use of waterproofs, safety equipment and all meals on board. All voyages start and finish in Plymouth, unless stated otherwise. If you need some advice about whether this is the right choice for you, please call us on 01752 823007 or email us. We know some people will need help to raise the funding to pay for one of our voyages and we can offer to help you do this. Please call for details.